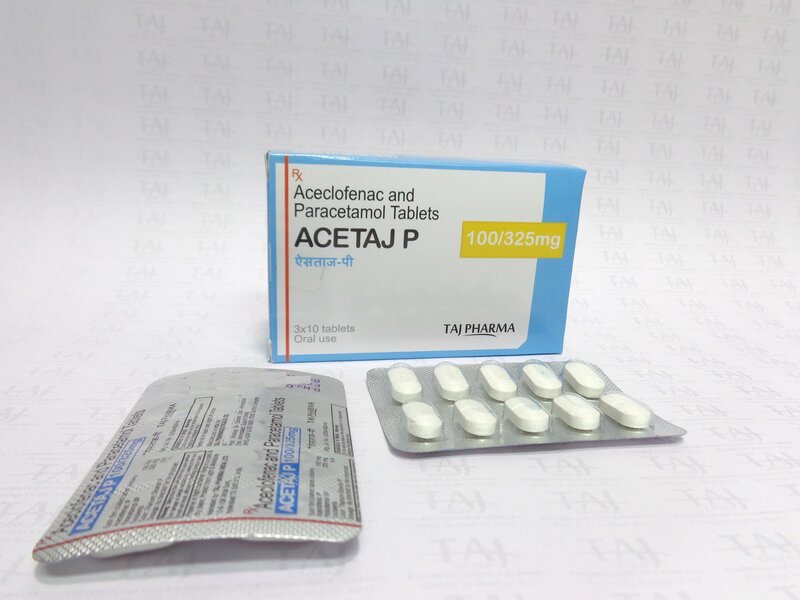 Aceclofenac Paracetamol Tablet is used for Fever, Joint pain, Cold, Toothache, Headache, Ear pain, Rheumatoid arthritis, Periods pain, Cephalalgia, Febrility and other conditions. Aceclofenac Paracetamol Tablet may also be used for purposes not listed in this medication guide. Aceclofenac Paracetamol Tablet contains Aceclofenac and Paracetamol as active ingredients. Detailed information related to Aceclofenac Paracetamol Tablet’s uses, composition, dosage, side effects and reviews is listed below. Aceclofenac Paracetamol Tablet may also be used for purposes not listed here. Before using Aceclofenac Paracetamol Tablet, inform your doctor about your current list of medications, over the counter products (e.g. vitamins, herbal supplements, etc. ), allergies, pre-existing diseases, and current health conditions (e.g. pregnancy, upcoming surgery, etc.). Some health conditions may make you more susceptible to the side-effects of the drug. Take as directed by your doctor or follow the direction printed on the product insert. Dosage is based on your condition. Tell your doctor if your condition persists or worsens. Important counseling points are listed below.